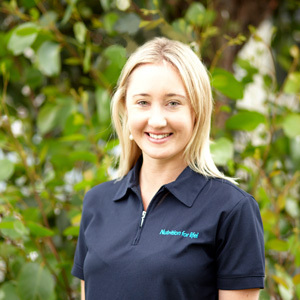 Danielle is an Accredited Practising Dietitian (APD) and Food Scientist with a Bachelor of Food Science and Nutrition and Master of Dietetics from Deakin University in Melbourne. Danielle joined the Nutrition for Life team in 2016 after gaining experience in various settings interstate including in hospitals, within the community, and within the food industry. Growing up with a European background taught Danielle to appreciate the value of good, wholesome food and what it can do for your health and wellbeing. Danielle believes that cooking and eating should be enjoyed and not feared and that it can bring people together like few other things can! She is also a huge believer in supporting local producers and home cooking using fresh, seasonal produce where possible… but she also enjoys treating herself to the occasional meal out at one of her favourite local eateries. Danielle loves the work she does, as she can really help people feel good about themselves. She is passionate about working with individuals with various inflammatory conditions, improving the health of the gut and achieving optimal digestive function. Additionally, Dani uses a lower carbohydrate approach to manage insulin resistance and diabetes, assisting with hormonal conditions like PCOS, and developing suitable eating plans for those with food intolerances and allergies. Dani is very knowledgeable in the area of fasting and teaching the principles of various fasting protocols. She is also one of a small number of dietitians in the country who specialise in tailoring a ketogenic diet to individual needs after many years of experience in this area. 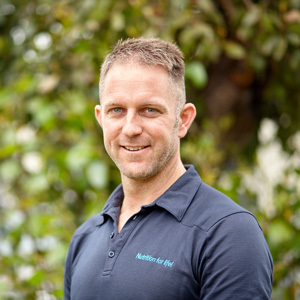 As a Certified Health and Nutrition Coach and co-owner of Nutrition for Life, Mat joined the team in 2017 after having spent a number of years prior following his passion in gaining knowledge in human health. Mat’s coaching is based on lifestyle, mindset, nutrition and physical fitness. Mat’s approach supports an LCHF lifestyle, but also has a focus on helping his clients to understand the importance of their bodies’ fuel requirements to best reach their goals. Mat also has an interest in using digital food tracking tools for accountability, hitting calorie and macronutrient goals. Mat follows LCHF principles as part of his own life and has extensive experience in the ketogenic lifestyle. He knows the health and performance benefits that be achieved from either approach from first-hand experience. Coming from a trade industry background, he understands the challenges that working people can be faced with each day when it comes to looking after their own health. Mats interests outside of work are exercising in the gym, spending time with family, and pretty much anything active and outdoors. Wellness & Weight-related Issues, Stress & Anxiety, Positive Psychology, Detoxification, Gut Health, Female Hormone Health, Female Teenage Health, Pre-natal, Pregnancy and Post-natal Health. Sarah is a Certificated Health and Nutrition Coach and owner of Nutrition for Life Healthcare. Sarah has been with Nutrition for Life since 2014. When working with Sarah, she will coach you to connect with your mind/body awareness and empower you to step into a healthy lifestyle change. 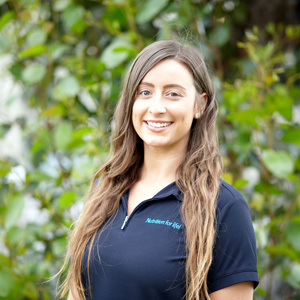 Sarah’s strengths are in her positivity in motivating clients to master new healthy habits and lifestyle protocols, which enable the client to significantly increase their self-confidence and to be healthier – along with helping clients to achieve important milestones in their journey to better health and wellbeing. She is both a health educator and motivator in her sessions, which have a profound impact on clients who seek both behavioural change in the pursuit of living a healthier lifestyle, and physical change to reduce the symptoms they have sought out direction and support to overcome. Nutrition for Life Healthcare was established in 2014 with one mission in mind – to teach you the health benefits of eating real food so that you may go on to reach your full health potential well into the future. Our healthcare service is based on teaching the principles of LCHF (Low Carbohydrate Healthy Fat) along with ketogenic nutrition. Our qualified team of health professionals deliver individualised advice and support to assist you to manage or reverse a range of conditions and lifestyle-related issues working within these dietary models. We help clients worldwide to #loveyourhealth by teaching them how to successfully follow a Low Carb Healthy Fat and/or Ketogenic approach.